Anasayfa » Wind power » What is Wind Energy? With wind energy from renewable and sustainable sources of energy, you can produce energy to illuminate your own home. Even the concept of the importance of many large and renewable energy sources provides electricity to the cities of nature friendly countries thanks to wind energy. In the sense of wind energy, kinetic energy in the wind is firstly converted into mechanical energy and then electrical energy through wings. Wind turbines constitute the widest application area of wind energy. To understand wind energy better, “what is the wind?” We recommend you to read our writing. What is the Wind Turbine? A wind turbine generally consists of a tower, a generator, momentum converters (gear box), electric-electronic elements and a propeller. The kinetic energy of the wind is translated into mechanical energy to the rotord. The martial movement of the rotor shaft is accelerated and the generator in the body is transferred. Striking energy obtained from the generator is stored by means of a pneumatic conveyor or delivered to the receiver without a vehicle. Bir önceki yazımız olan What is Geothermal Energy? başlıklı makalemizi de okumanızı öneririz. What is Wind Energy? 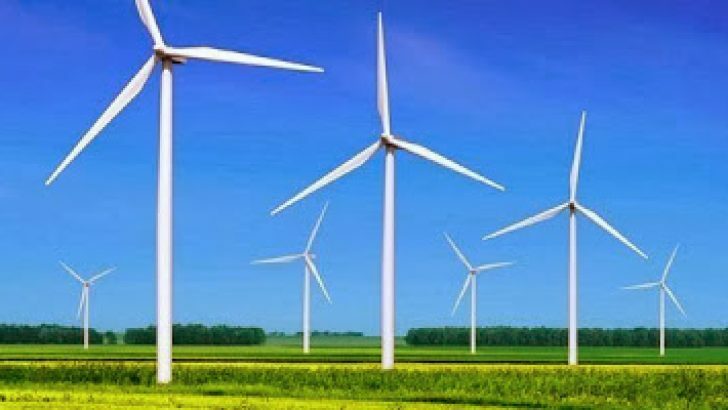 Wind power Muş merkezden ben Barış Tezer. Merhaba siten ciddiyim çok hoşuma gitti, face de paylaştım 24-06-2017 20:46:47 harika ötesi. 1 Radyasyon Vücuttan Nasıl Atılır? 2 Türkiye’ nin En Büyük Güneş Enerjisi Santrali – Kızören Güneş Santrali 3 Güneş Tarlası Kurmak 4 Elazığ’ da Çöpten Elektrik Üreten Tesis Faaliyete Geçti 5 Rüzgar Enerjisi Nedir?